For nearly 100 years, the Lazarus department store was a fixture in downtown Columbus. In 2004 the store closed, but the building was far from being forgotten; big changes were under way in order to give the Lazarus Building a second life. 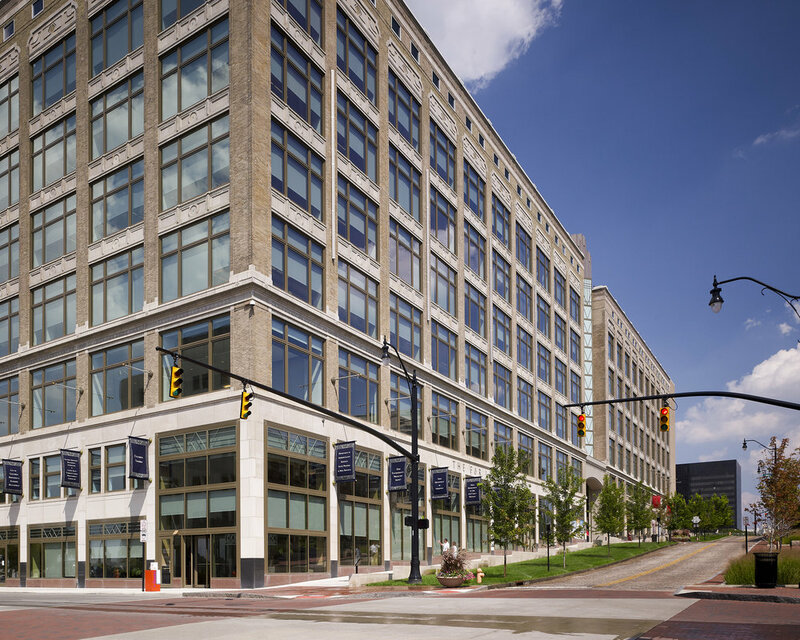 Schooley Caldwell served as the architect-of-record and engineer-of-record (working with the Design Architect, Elkus Manfredi) for the renovation and adaptive use of this 1,000,000 square foot, 20th century department store as a mixed-use building. Our design team began the reinvention of the Lazarus Building by restoring the brick and terra cotta façade and reopening more than 150 window openings once infilled by the department store, using mullion patterns that match the original units. 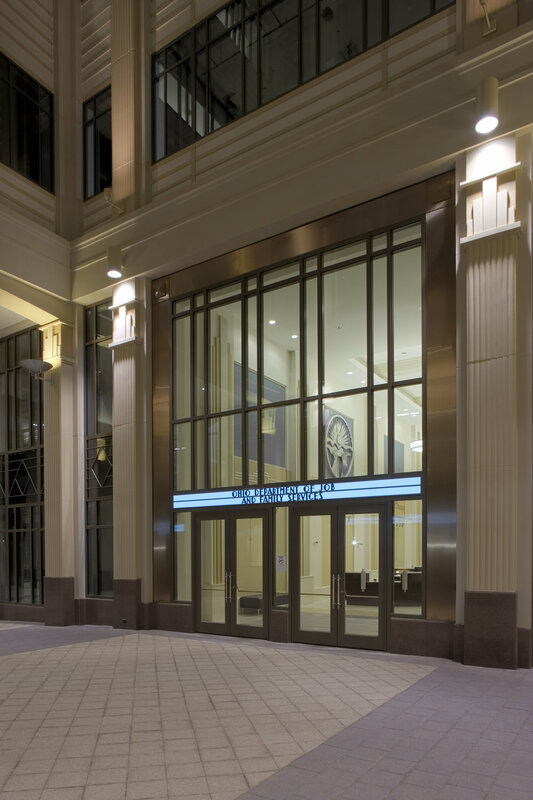 We also transformed a former street through the building’s center into a two-story Galleria that now serves as the central organizational element of the building. An eight-story skylit lightwell above the Galleria, an important architectural feature at the center of the building, not only provides drama to the Galleria below, but also brings natural light to the center of the large tenant floors. Lazarus is looking like its old self again, though it now serves a mix of uses—offices, retail, artists’ studios, exhibitions, and restaurants—rather than eager shoppers. Plus, this project was the first, and is still one of the largest, renovations in Central Ohio to achieve LEED Gold certification. Brent Davis visits the Ohio History Connection, where history curator Becky Odom shows us Lazarus department store memorabilia from over the years.